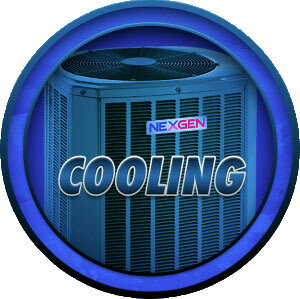 Nexgen provides a wide range of HVAC services to homeowners all throughout Southern California. We are Google Certified for home services and all our employees are background checked and verified. With locations in Anaheim, Northridge, and Palm Desert, Nexgen serves all of Southern California, including Los Angeles County, Riverside County, Orange County, San Diego County and Ventura County. We can help you with your Air Conditioning Installation, Air Conditioning Repair or Replacement, and Air Conditioning Maintenance. Our HVAC technicians have experience handling a variety of different air conditioning systems, including Ductless Mini-Splits, Window Air Conditioning Units, and Heat Pumps. We also carry a variety of parts for your air conditioning system, so we are able to handle any situation that may arise. 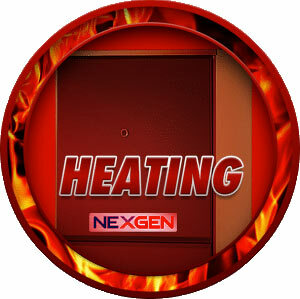 Our background checked and Google Certified team at Nexgen can help you with any situation that may arise with your Southern California heating system. We have experience handling a variety of heating systems including heat pumps, furnaces, and package units. We also carry a variety of heating repair part components, like flame sensors, gaskets, and ignitors. Learn more about our Heating Installation, Heating Repair & Replacements, and Heating Maintenance services. There are a few choices when it comes to selecting your hot water heater. We can help you discuss the advantages and disadvantages of choosing a conventional storage tank or tankless hot water heater. If you current hot water heater needs repair or maintenance, give us a call today. We offer some of the best warranty plans in the industry and are one of the few HVAC providers to offer complimentary maintenance visits. Indoor air pollution can lead to a multitude of adverse health effects. Nexgen can provide home air quality inspections to identify the appropriate solution for your home. We can even help you replace your air filters or air purifiers and help with sealing or cleaning your air ducts. Get a Nest Learning Thermostat with installation for $395 from Nexgen. Available to eligible customers who purchase through December 31, 2018.